Christmas is just around the corner and we could all use some Christmas Cash!! Just comment below and tell me what you would spend this Christmas Cash on if you were to win! 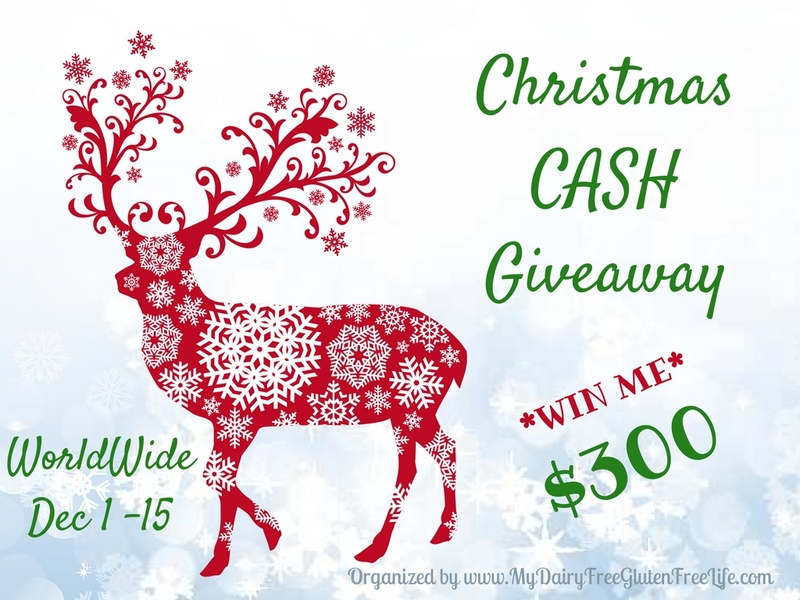 Welcome to our Christmas Cash Giveaway! This event is totally Blogger Sponsored Event which means the bloggers listed below have donated to cover the cost of this $300 Christmas Cash Giveaway! This giveaway closes December 15, 2016 at 11:59 PM Eastern Standard Time. Filed Under: Give Away!, GIVEAWAY Tagged With: Cash Giveaway, Christmas, Giveaway!! For Christmas this year, we will be going to my in laws for dinner. So I will have to come up with some side dishes to take. I’m going to spend Christmas with my in-laws. I am spending Christmas with my family nearby. buy gifts for 7 grandchildren. Christmas this year is new tires for our car. I am going to my grandparents house for dinner! Would pick up a few more things for the nieces and nephews! For Christmas I’m having a celebration with my family. We’re staying home,and cooking dinner here. My hand and wrist are casted,but hoping all is well when it comes off the 20th! thanks! We go to my mom’s house for Christmas on Christmas Day.We have a big celebration with about 30 people. We’re spending Christmas eve with my Mom & sister. Then, on Christmas day, our little family of four will be home. That means a lot of prep work for me. I need to be ready for a big breakfast & dinner on Christmas day. Happy holidays to you and your family. We are just spending time with the family at our home. We are having Christmas dinner with family. For Christmas this year, I will celebrate it with my youngest son, father & Step-mom at my home. I usually cook what ever Dad wants to eat. Last year it was Chicken Fried Steak & mashed potatoes. I don’t know what I’m cooking this year….Hopefully, they will let me know soon! Going to my moms for Christmas. We will be visiting cousins out of town. If I won this money I definitely would have to spend it on my kids. Its as simple as that.I’m a single mother of 5 boys and seeing them happy is my only perogative.Happy Holidays to all.Thank you..